Creative agency Manifold contacted me to design the artwork for a custom arcade cabinet for their 4th anniversary celebration. Final Artwork for 2-Color t-shirt design. My client is a robotics company. 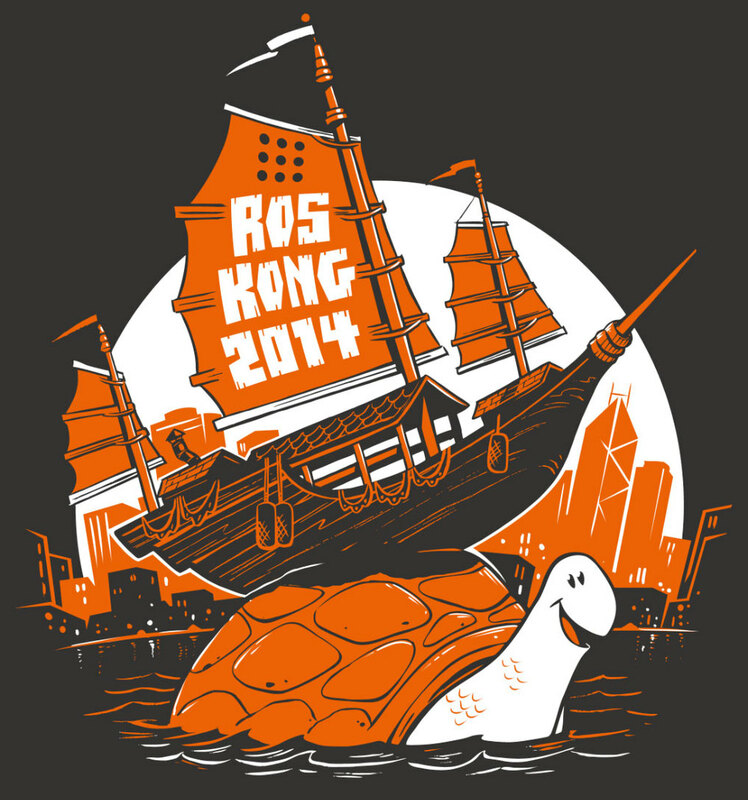 "ROS" is an their open-source robot programming language and their mascot is a turtle. So, almost all of the designs that I make for them involve turtles. This time, they needed a shirt to commemorate a trip to Hong Kong. 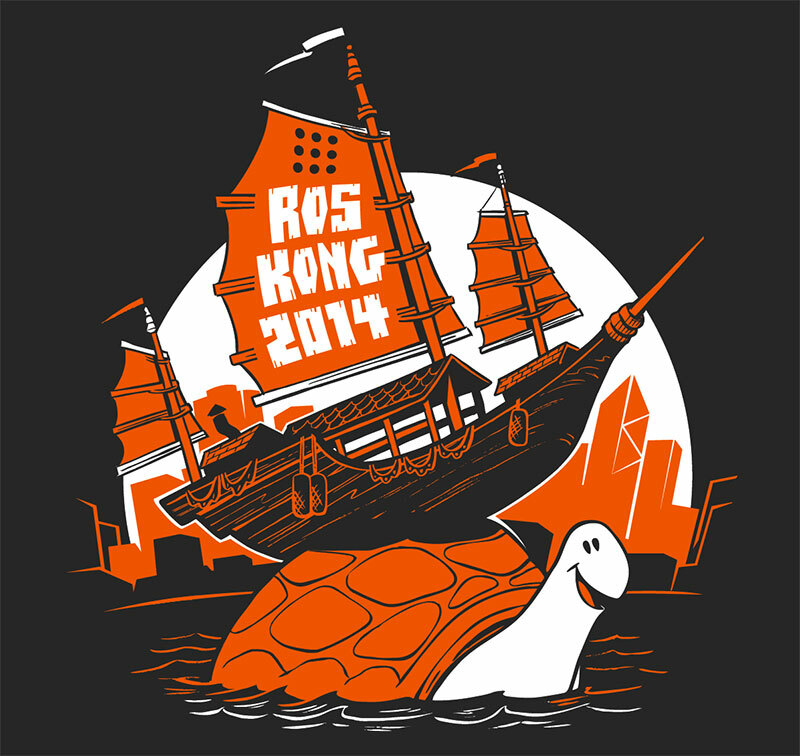 They want to call it "ROS Kong 2014". 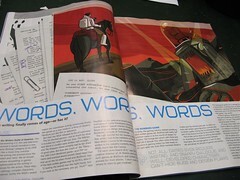 And initially they wanted to see some ideas incorporating King Kong and the Hong Kong skyline. That sounded interesting to me, so I got started. Taking the "King Kong" direction, I sketched out a few ideas that might incorporate ROS. The first has him swatting drone helicopters (a popular use of the ROS software). The second plays on the size of King Kong against the scale of the ROS turtle mascot. The third features a gigantic turtle shaking hands with King Kong over the Hong Kong skyline. The client had second thoughts about the whole King Kong direction. They felt that maybe King Kong is too centric to New York City. But, they liked the tiny boat that I included in the foreground of the third sketch, and suggested that I might rework the design to focus on that. So, back to the drawing board I went. 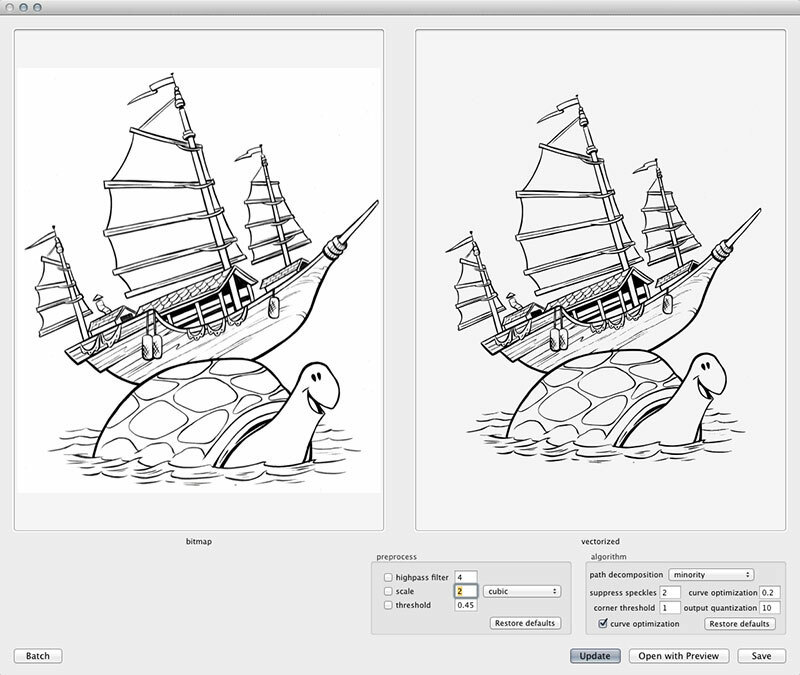 The new idea would be to have a traditional Chinese sailboat balanced atop a turtle in the Hong Kong harbor. It was also decided that a dark colored shirt would be preferred. This led me to start thinking of what colors would look good on dark grey or black. With the concept signed off on, it was time to get down to really drawing. 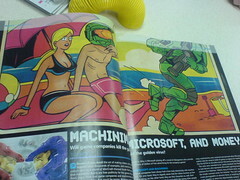 I immediately started looking for solid reference for the boat. I knew that I wanted the turtle to be more simple and cartoony, so I didn't need too much reference with that. Originally, I was going to have drone helicopters flying around the boat but, in the end, that just seemed too busy with everything else. After I had a solid sketch figured out on the computer ( I use Sketchbook Pro on my Mac), I printed out the sketch on a big piece of paper. I used a lightbox to transfer the sketch to bristol board. Then it was time to ink. I like drawing in ink on bristol board. It's holds ink really nice and it's more affordable than illustration board. I use a round-tip sable brush and india ink for most of the work and then touch up the rest with pens and markers. Really, I'm just looking for the best tool for whatever detail I'm working on. For this design, I'm not too worried about the different colors of black ink or the archival properties of the surface. All of this is production art for the final t-shirt design. My ink work was too big for one pass on the scanner, so I pieced together multiple scans in Photoshop and saved it as one jpg image. Then, I used an app called CocoaPotrace to convert the line art into vector shapes. I use CocoaPotrace instead of Illustrator's LiveTrace feature because it tends to have better results that are closer to the original artwork with fewer bezier nodes. After I vectorized the initial ink work, I was able to bring it into Adobe Illustrator and start planning the solid black areas. It had already been decided that this image would appear on a dark colored t-shirt, so that helped me determine the balance of black and white. I added a semi-circlular shape to the background to help define lines of the turtle and boat, and then I reversed out the hull of the boat, making it black with white lines. Illustrator makes this kind of thing a lot easier than working on paper. Next, it was time to think about adding another color and text. Laying in the 2nd color in Illustrator. At this stage, I've figured out the right balance between the black/grey. white, and orange. A simple skyline has been added to help place this scene in Hong Kong. I also decided that the text would fit well inside the center sail, as opposed to along the bottom. In the past, I would continue to add detail in Illustrator, using the Pen tool to add more lines and sculpt other areas of the image. Lately though, I've been using a new bitmap-based program to finish what I started in Adobe Illustrator. It's called Manga Studio 5. Manga Studio is a drawing program sort of like Photoshop and Painter, but it has really great drawing-specific tools and I think it's a great bridge between vector art and pixel art. I used a Wacom tablet to draw in details like reflections, turtle scales, highlights, etc. I also made a pass to fill in any weird gaps or loose lines. After everything was polished, I saved the art out as a high resolution (600dpi) tiff file. I sent an email to the client with a low-res jpg of the work along with a mock-up of the design on a suggested shirt style/color. They seemed pleased with the way that it came off and decided to go forward to production without revision. My normal flow usually includes room for a change or two, but it was great that they liked it "as is". I used DropBox to send a high resolution tiff file to their printer. Mock-up on American Apparel "Ash"
I hope that you got something out this description of my process. 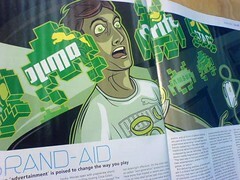 For me, this was a pretty straight-forward job compared to many others but it had it's curveballs. I'm trying to change up my routine to incorporate more hand drawn elements in and out of the computer. It was also a nice challenge to work in two colors in a dark t-shirt. I like the limitation of that and I think I'll do more of that in my personal work. 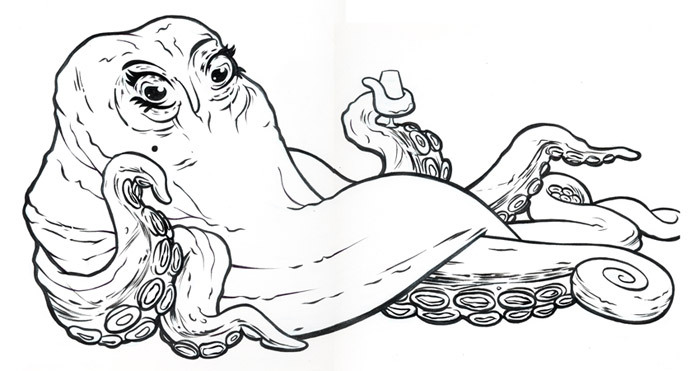 "The Madame" was created specifically for an upcoming tentacles-themed art event at Ltd. Gallery in Seattle, WA. The show features a myriad of pop-culture influenced artists and is curated by Bonnie Burton. My piece is inspired by black velvet pin-up girl art, black-light poster art, and the tireless work of Jacque Cousteau. 12x18" prints of the image are available right now at the Prints section of my website or directly below this post. Here are some process shots of "The Madame". Ink drawing on bristol board. Detailing in Manga Studio and Photoshop. Ready to frame with edge-to-edge black background. Each print is signed in blue pencil. 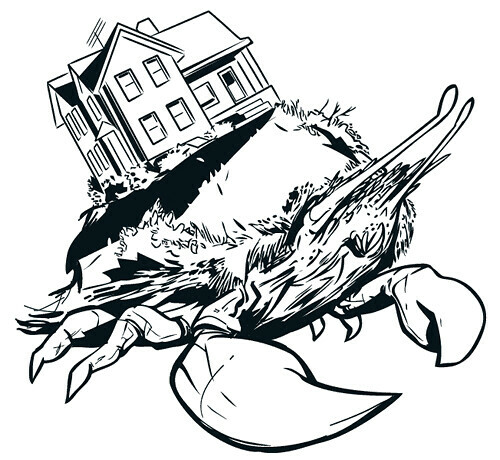 crabhouse drawing, originally uploaded by joshuaellingson. This is something new that I'm working on. I plan to add a lot of color to it soon, but it's refreshing to work with more lines.